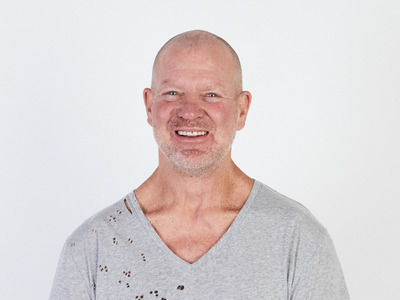 Chip WilsonLululemon founder Chip Wilson built one of the most successful women’s clothing brands in the world. Chip Wilson built Lululemon into one of the most successful women’s clothing brands in the world. “Each day I walked into the office and asked myself, ‘If I had to compete against Lululemon, what would I do? '” Wilson writes in his new tell-all book, “Little Black Stretchy Pants,” which will be released on October 16. Wilson came up with the idea for Lululemon during a yoga class in the 1990s. He noticed that women in the class wore dance clothes that were thin and transparent, and he wanted to invent a better clothing option for workouts. Chip Wilson built Lululemon into one of the most successful women’s clothing brands in the world by asking himself one question every day. Wilson said he was obsessed with exposing, analysing, and fixing Lululemon’s weaknesses. The company also benefitted from his ability to spot trends five to seven years before they take hold. Wilson founded Lululemon in 1998, and it’s now worth an estimated $US18 billion. He came up with the idea for the brand while taking his first yoga class in the 1990s. At the time, he was 42, and he had already founded a clothing company called Westbeach, which sold surf, skate, and snowboard apparel. After only a couple of classes, he predicted that yoga would become a wildly popular form of exercise. He also noticed that women in the class wore dance clothes that were thin and transparent. The only workout clothes on the market for women at the time were shrunken versions of men’s sweatshirts and t-shirts, he said. He wanted to give women a better clothing option for yoga. That’s how Lululemon came to be.